Was that not just brilliant? What incredible strength these birds have to lift the large heavy fish out of the water. I found myself gasping in awe. What is also brilliant is the (thought to be) oldest breeding UK Osprey (affectionately known as Lady) returned to her nest at Loch of the Lowes for a 23rd consecutive year. She then stunned everyone by laying 4 eggs! Birdwatchers travel from far and wide to catch a glimpse of Lady, who has now brought double the average number of ospreys into the world. Although only one chick hatched out of the four this year (probably due to the male deserting his incubation duties for a few times at a crucial stage and eggs getting cool) all eyes at the reserve and on the webcam are on this chick as it develops. It is growing well and is now just over 2 weeks old. Fingers will be tightly crossed that it continues to do well and manages to fledge successful and migrate to Africa later in the summer. If it does it will be Lady’s 50th fledgling! Funds have been raised to satellite tag the chick and follow its progress all being well. 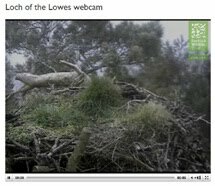 This Osprey story with regular Q&A and tales of other birds and wildlife (including Red squirrels and more recently Beavers) can be followed through the Loch of the Lowes Blog. 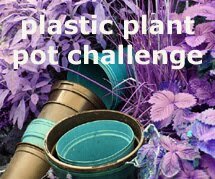 As I have shared the ARKive video above on my blog I feel it is only courtesy to add a bit about this charity with a link to their donation page. I do like the ethos of their work as does Sir David Attenborough who is Wildscreen Patron. 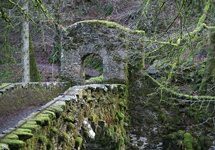 As a charitable organisation, we rely on the support of others to help us inspire people to discover, value and protect our natural world. ARKive is used by schools, local communities and conservation organisations around the world, and our work is only possible with your help and support. Please help us keep ARKive growing and free to everyone. We are hugely grateful for any support – together we can do amazing things! 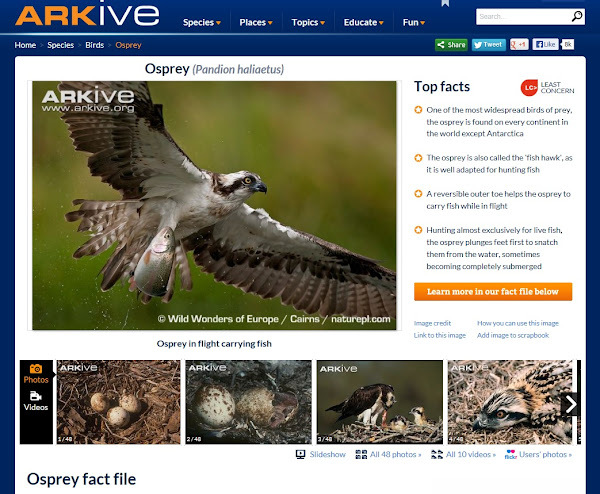 For those new to watching Ospreys, like me, the page above looks very interesting. I intend having a good browse. There are more Osprey videos, some stunning Osprey photos and lots of Osprey facts to be found. 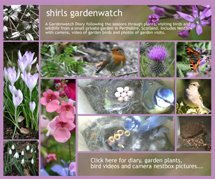 This post was published by Shirley for shirls gardenwatch in June 2013. A train that we were travelling on in Wales stopped to wait for a crossover right alongside where a pair of ospreys were nesting at the nature reserve at Ynis-hir so we could watch a pair wheeling around. As for hides when we are in them the birds do just that - hide! 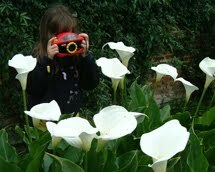 We see more in our garden! 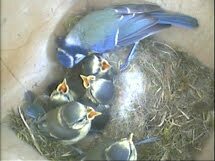 I've just broken off from writing this comment and been viewing Lady and chick on the live webcam. Fantastic! I spent more time than I should have but glad I did as after a couple of very brief glimpses of the chick Lady moved away and I was able to watch the chick very clearly for quite a while. I also left a late comment on your previous post. What a beautiful bird Shirl - would love to see one. Did not realise that they could live let alone breed as long. Totally awesome video!!! Had no idea! I watch them with their fish in claws but don't recall ever seeing one diving in and out! Thanks Shirl..just a thrill. We also see them having a rest stop while migrating, down here in Devon on the River Exe. 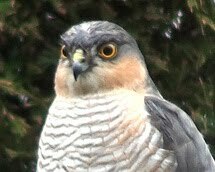 They certainly are magnificent birds, to see them fishing is a moment , never to be forgotten. Wow! Thanks for sharing that clip. It certainly puts fishermen to shame. Lovely video. Such beautiful birds. I was on holiday in Scotland recently and had some great views. Hello everyone and thanks for all your comments :-) I'm delighted you all enjoyed seeing this spectacle too.